One of the many perks of having kids is pulling together an adorable space for them. Who doesn't love picking out paint colors, deciding on a theme (or non-theme) and taking your time picking out the perfect pieces to fill the room? The process can also be very sentimental — you're creating a space outside yourself in which your child can find comfort and flourish. 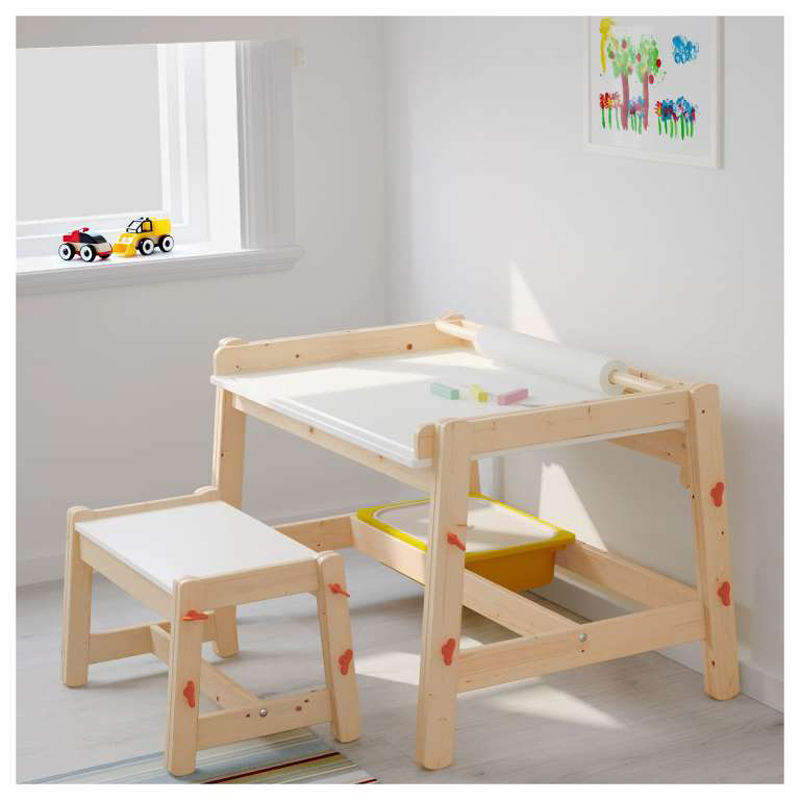 Whether you're just starting on that journey and need to create a knockout nursery or your child needs something a bit more grown up, it's always nice when you can check most of the items off your list at one store. And when that store is Ikea, well, even better. While you may have frequented the store in the past to pick up a clean-line couch or colorful shower curtain for yourself, there's a whole new world of the store to explore once you become a parent. 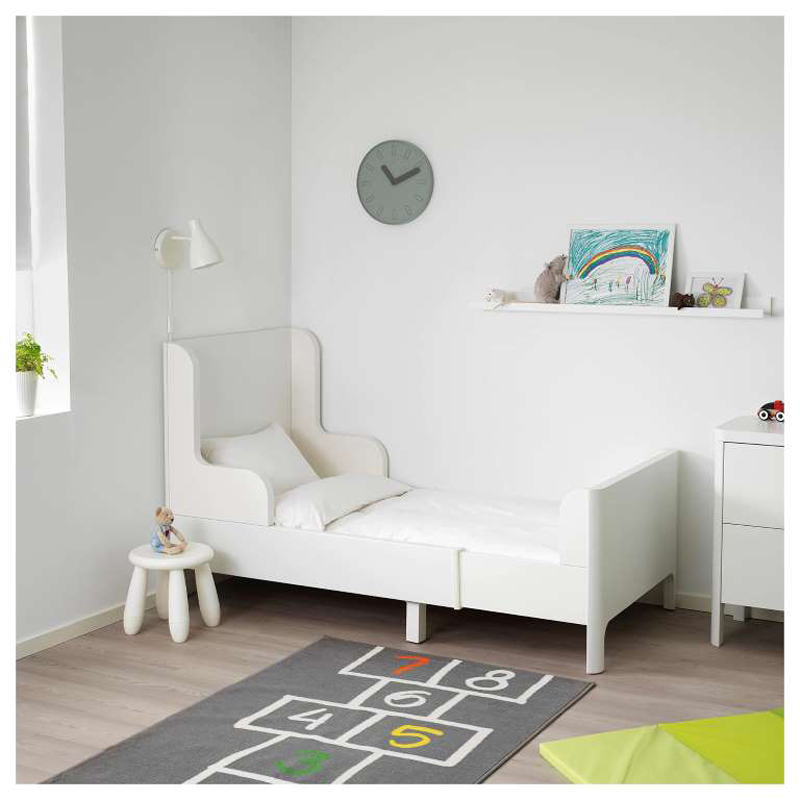 Here are some of our top picks for nursery and kids room decor from the Swedish purveyor of home goods. Bonus: Make a day of shopping, and you can dine on some tasty signature meatballs for lunch. The fact that this playful chair is billed as being made for the outdoors makes us love it even more. It is spill-proof and easy-to-clean. 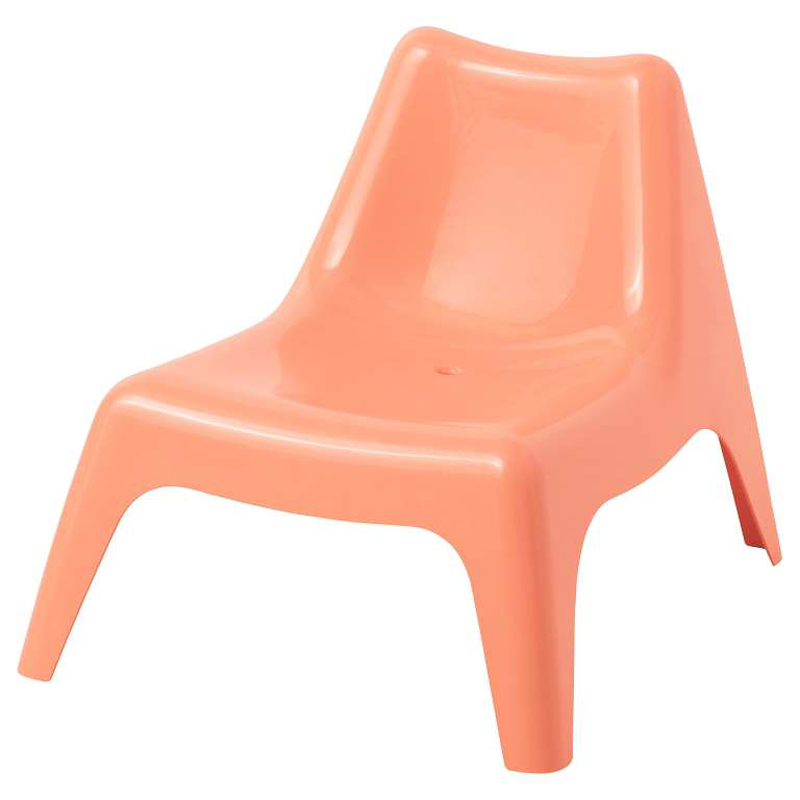 Plus, the UV-resistant plastic will keep its cute orangey-coral color even in direct sunlight. 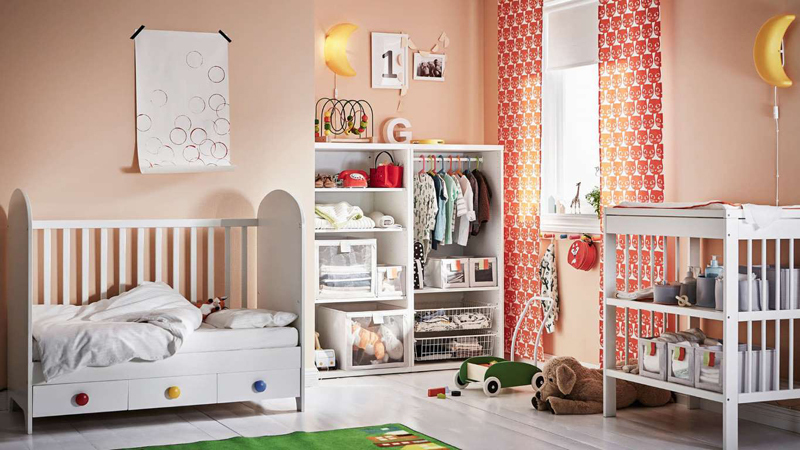 There's no nursery this Sundvik crib wouldn't look good in. 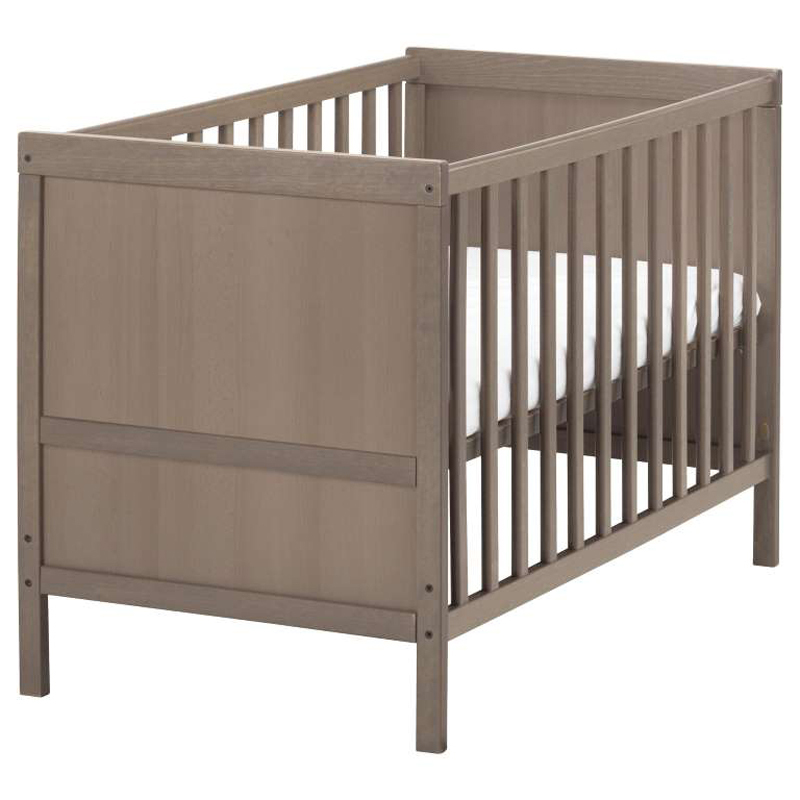 Between its classic styling and on-trend gray-brown hue, this is a piece you can build your baby's room around. 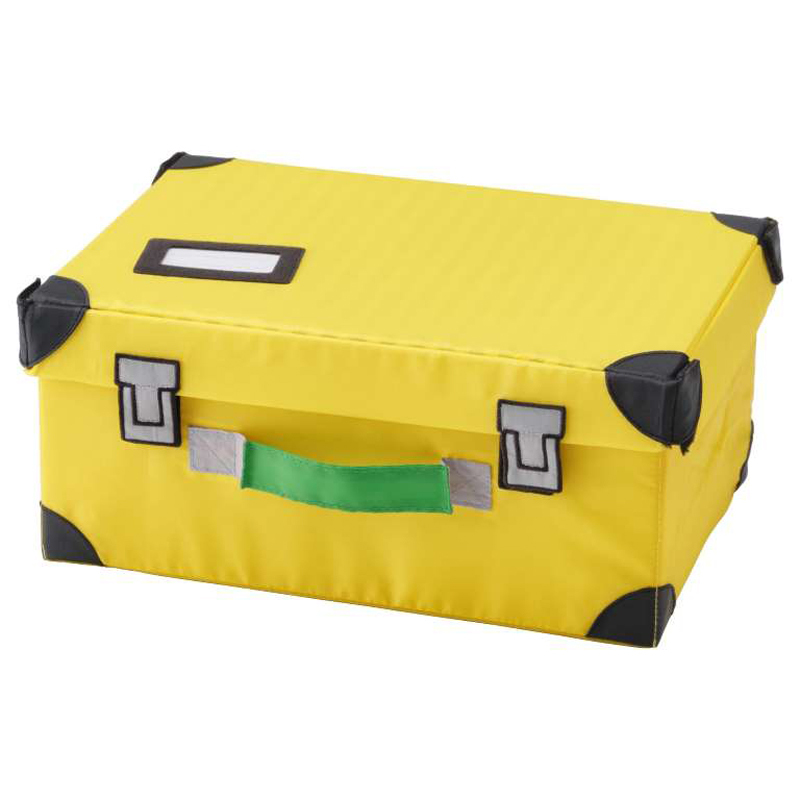 This playful toy trunk looks like something straight out of Mario Kart or a Minions movie, and you know what that means — the kids will love it! They'll be able to act out the adventures of all of their favorite characters without ever leaving the house. At only $5, you really can't beat this sweet crib mobile. 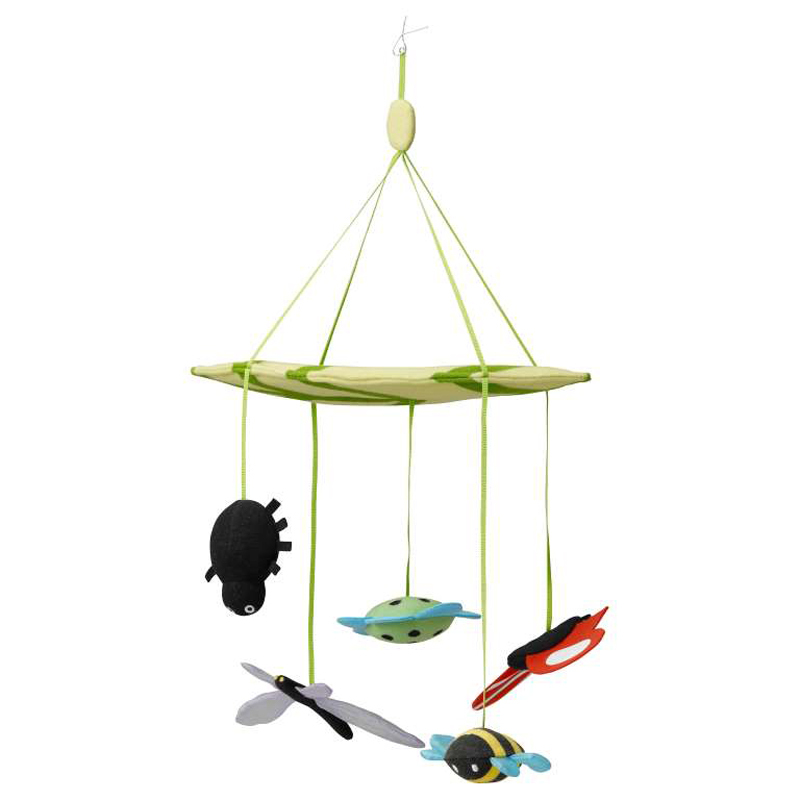 Its dangling bugs are downward-facing so your little one can see them whenever they gaze up. One word comes to mind when looking at this precious Krux wall lamp: squeeeeeee! OK, so maybe that's more of a sound. But when you're faced with something this cute, an enthusiastic squee is warranted. There are many things to love about the Flisat wall storage, but its versatility and price top the list. 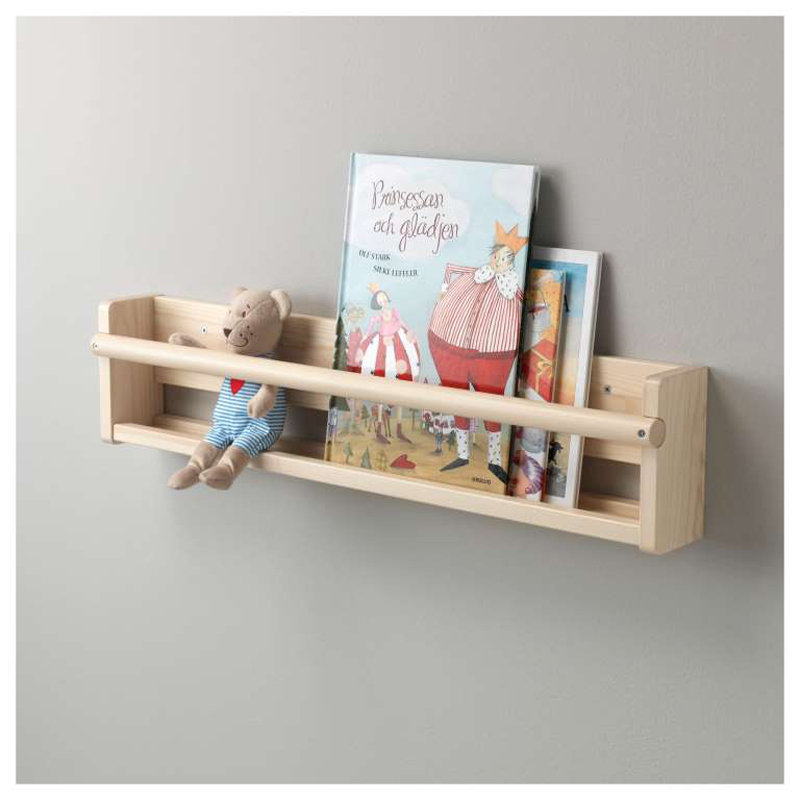 You can easily foster your child's love of reading without stressing about the messiness of books everywhere when you have these holders in place. 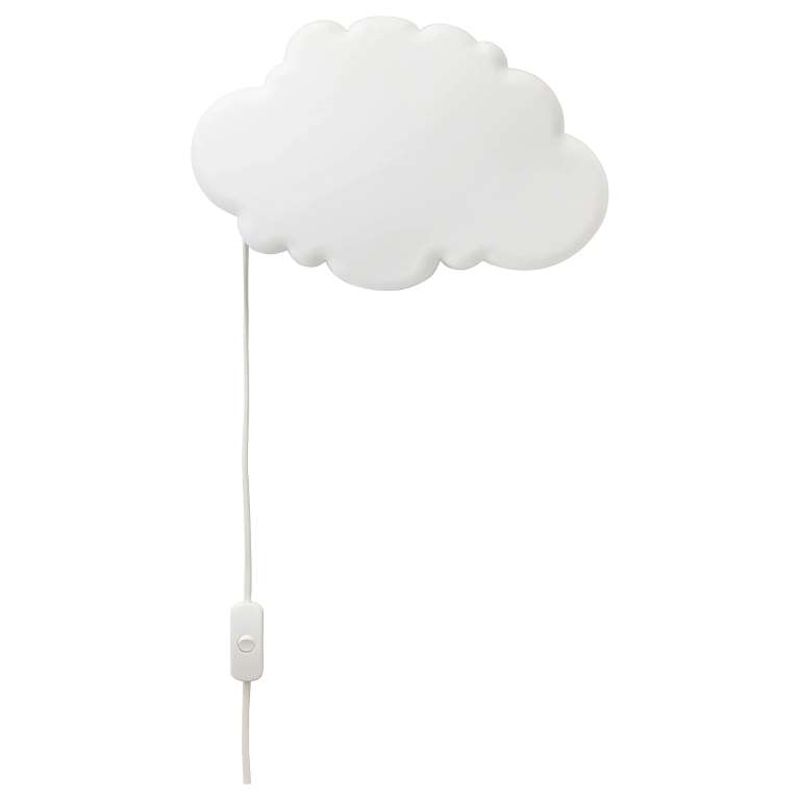 What kid wouldn't love having their own private cloud for a night light? 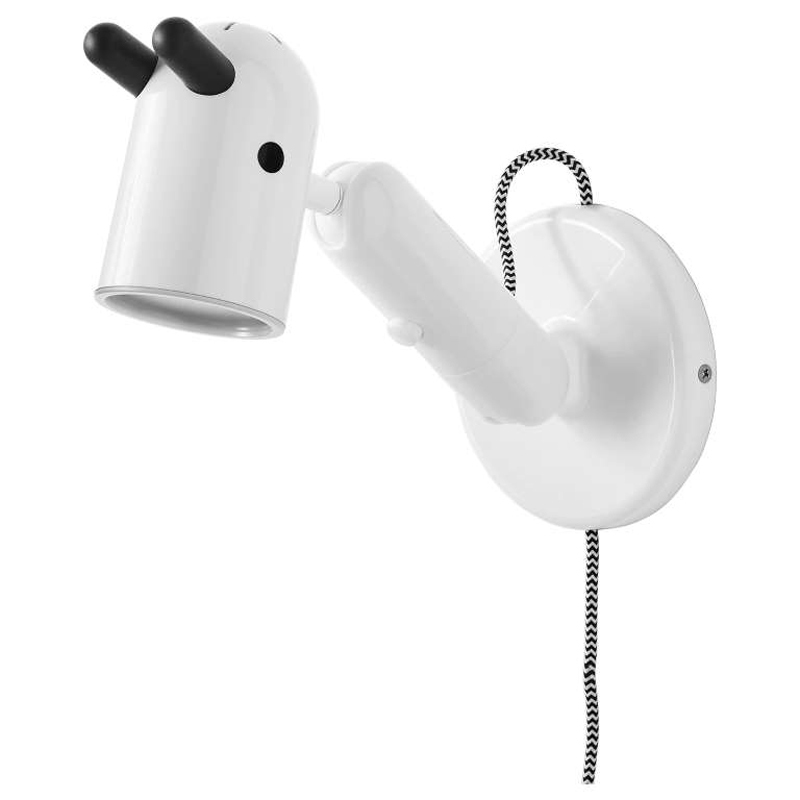 The cozy glow from this Drömsyn wall lamp is ideal for little ones who still struggle with falling asleep in the dark. 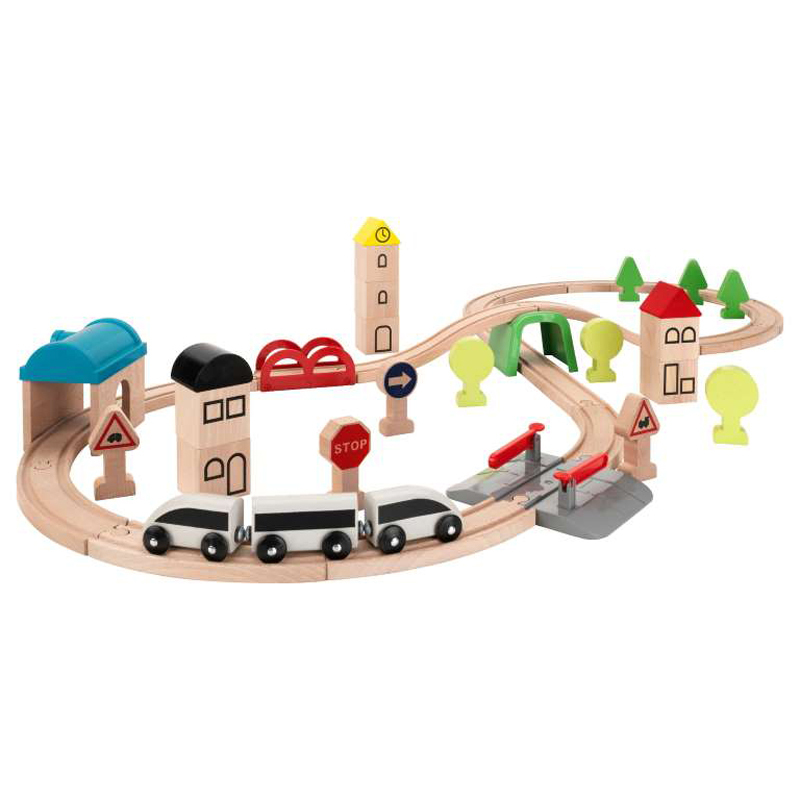 We're always on the lookout for toys that are just as adorable as they are fun to play with, and this 45-piece train set certainly meets that criteria. Don't make the mistake of buying a tiny desk that your child will outgrow before you can blink. The Flisat can be toggled between three different heights, and it has a top that tilts. The holder for a Måla drawing paper roll and spots for storage bins beneath are icing on the cake. For something so beautifully simple, this piece is pretty darn brilliant. When it's on the floor, it's a classic dollhouse. But should your child outgrow their dolls, you can mount the house on the wall to house books and other treasures. Genius! Calling all future contestants on MasterChef Junior! 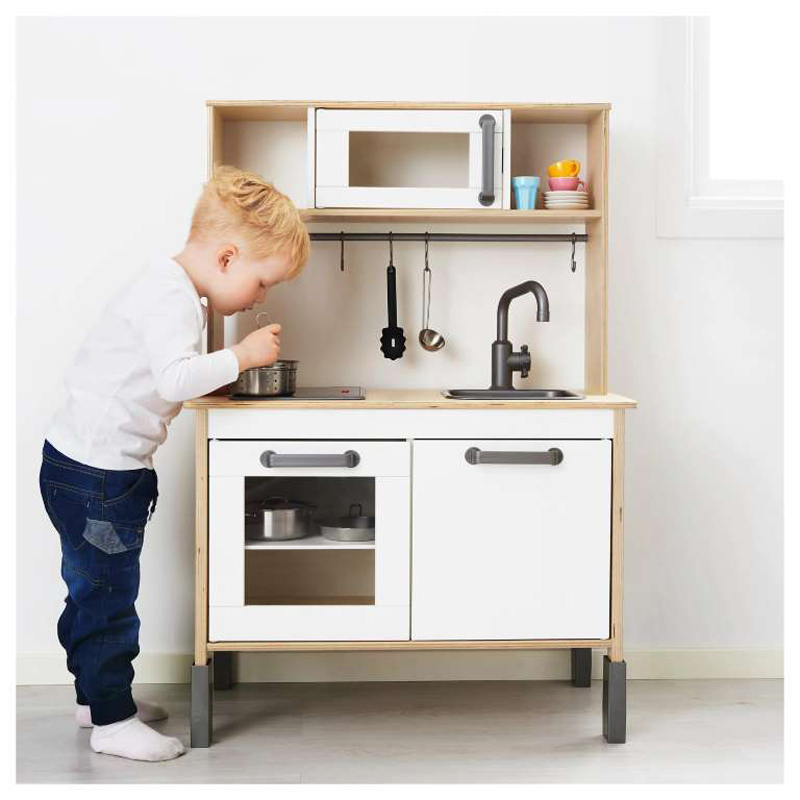 This sleek kitchen set will encourage your child's inner culinary aficionado to come out. 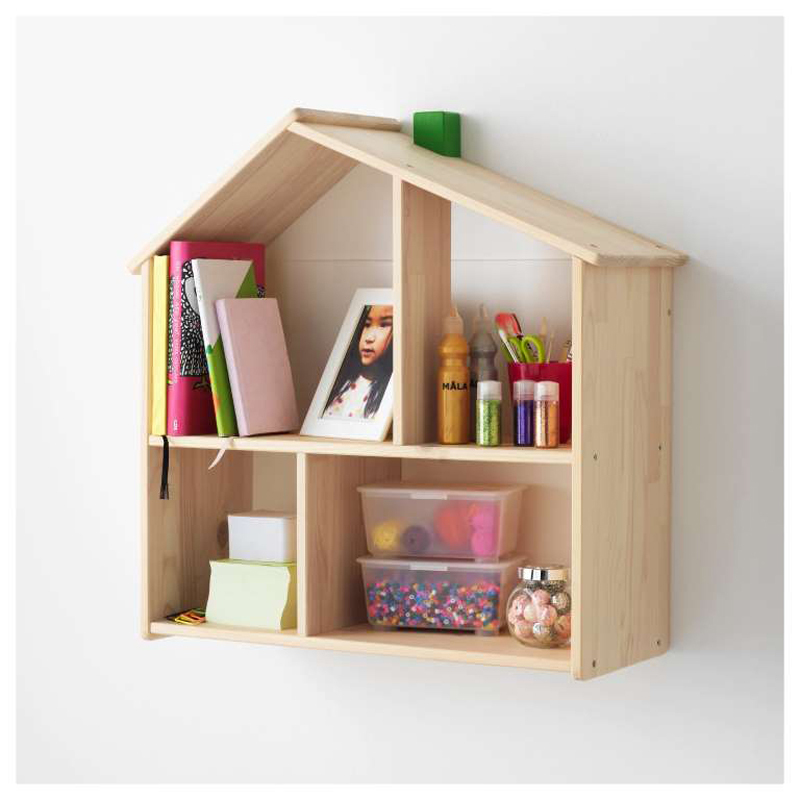 And let's be real; it gets bonus points for being chic and not a total eyesore like some play kitchens. If you've never purchased one of these before, welcome to the wonderful world of Trofast — where there's a place for everything and everything in its place. 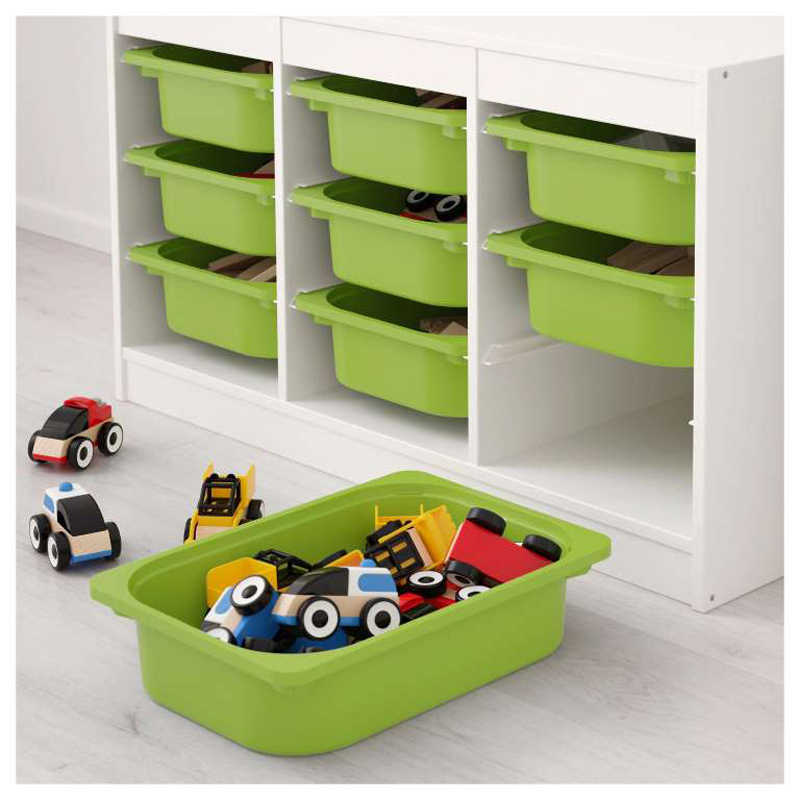 After-play cleanup doesn't get any easier than tossing toys into the assorted bins. We can all appreciate a bed that grows with your child, right? The Busunge does just that, offering a unique wooden construction that can be pulled out in stages as your little one sprouts. 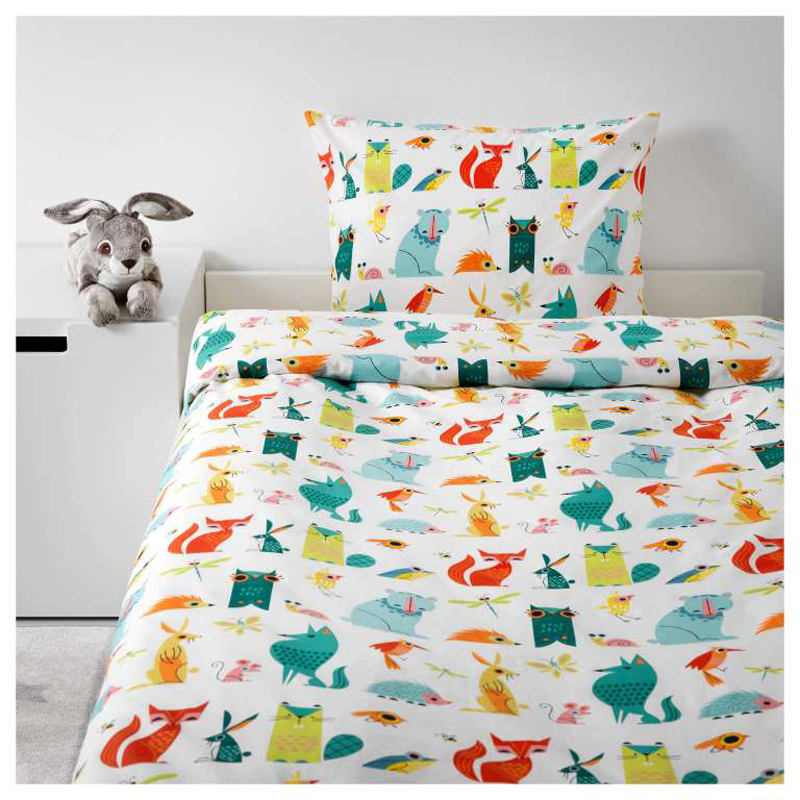 Cute, colorful, whimsical... this "magical garden" duvet cover set is everything a kid could want. And since it's woven from sustainably grown cotton, it'll make you feel happy too. If you ask us, every kid's room should include a tent! This Hemmahos caravan version couldn't be any cuter if it tried. It would be perfect for a little adventurer- or world traveler-themed room. Kids and parents alike will enjoy the process of building a bed that is basically a Transformer. 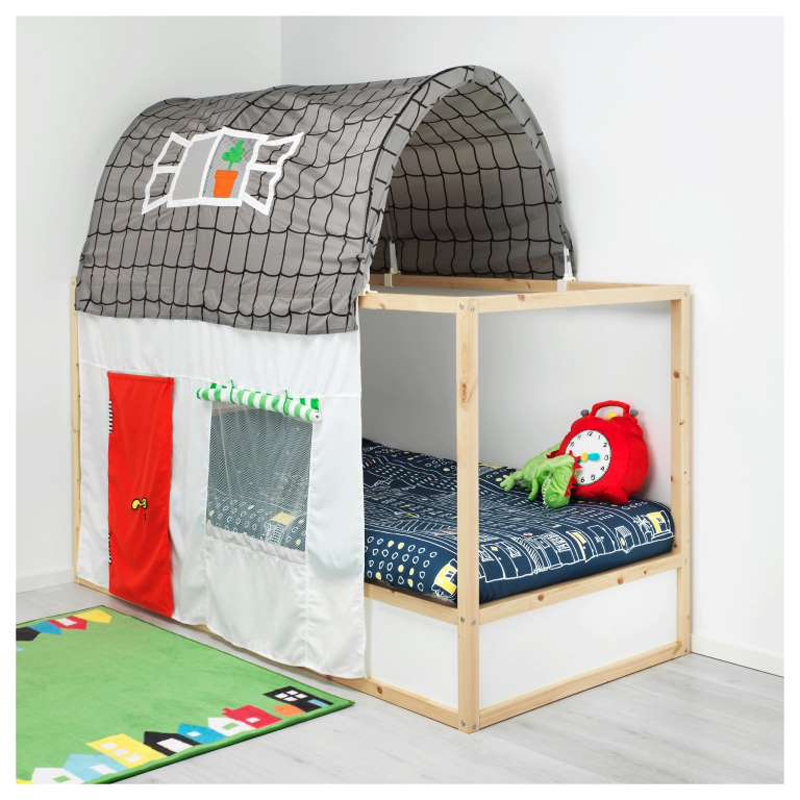 The Kura can be positioned with the bed low (pictured), which is ideal for younger kids. For big kids, you can flip it upside down so the bed is high and you have a nice loft space below. Bonus? 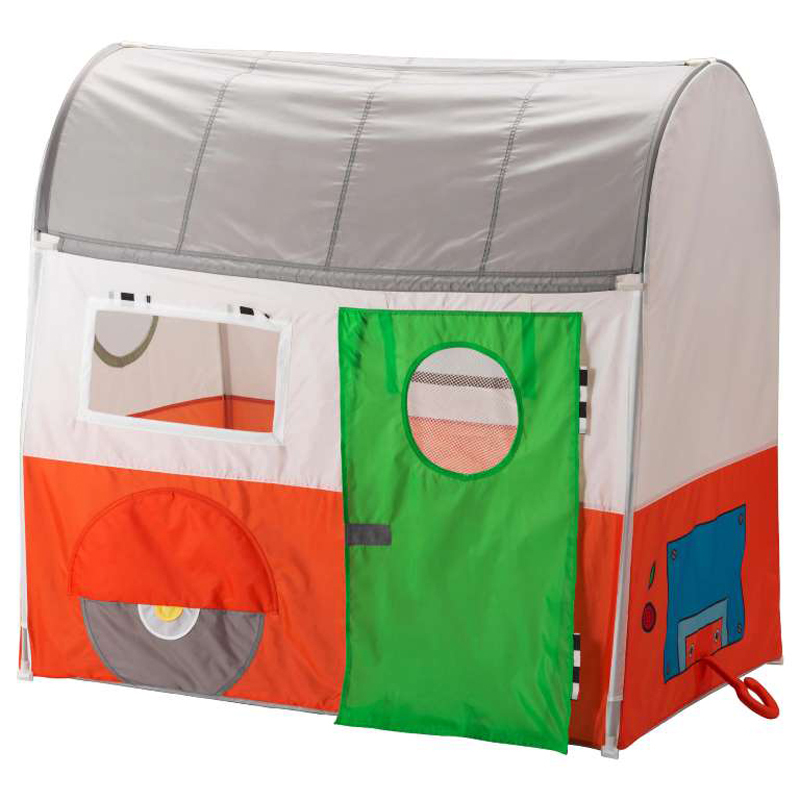 You can add on a matching Kura tent. This isn't just any ol' changing table. 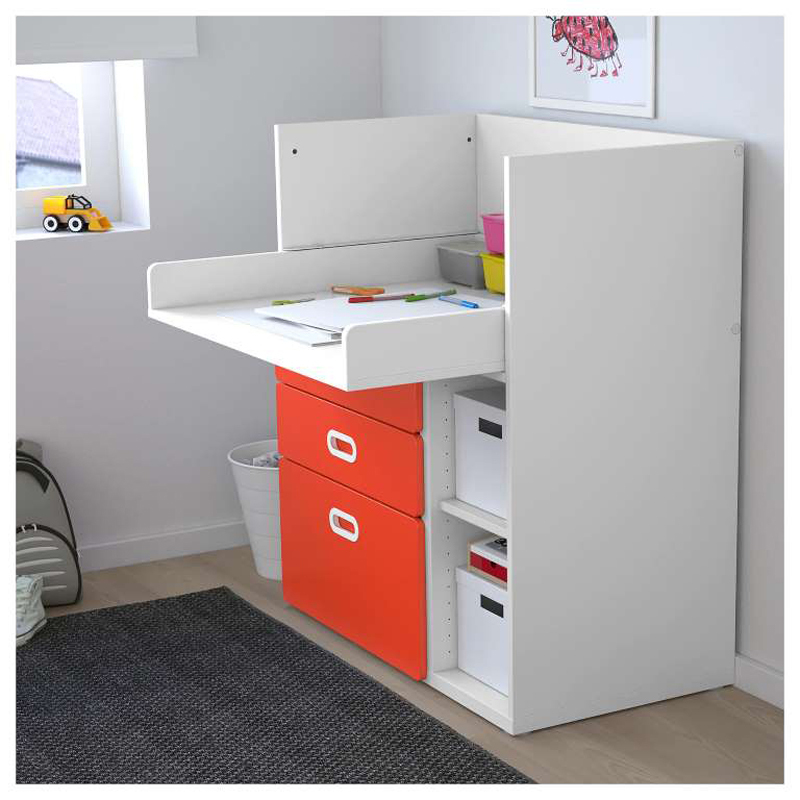 In addition to the vibrant pop of color from the drawers, the Stuva/Fritids changing table also boasts an adaptable design. Once your child is out of diapers, this table can easily be converted into a desk. Little ones need a soft place for their tiny toes to land, and this thick, low-pile rug is just the ticket. 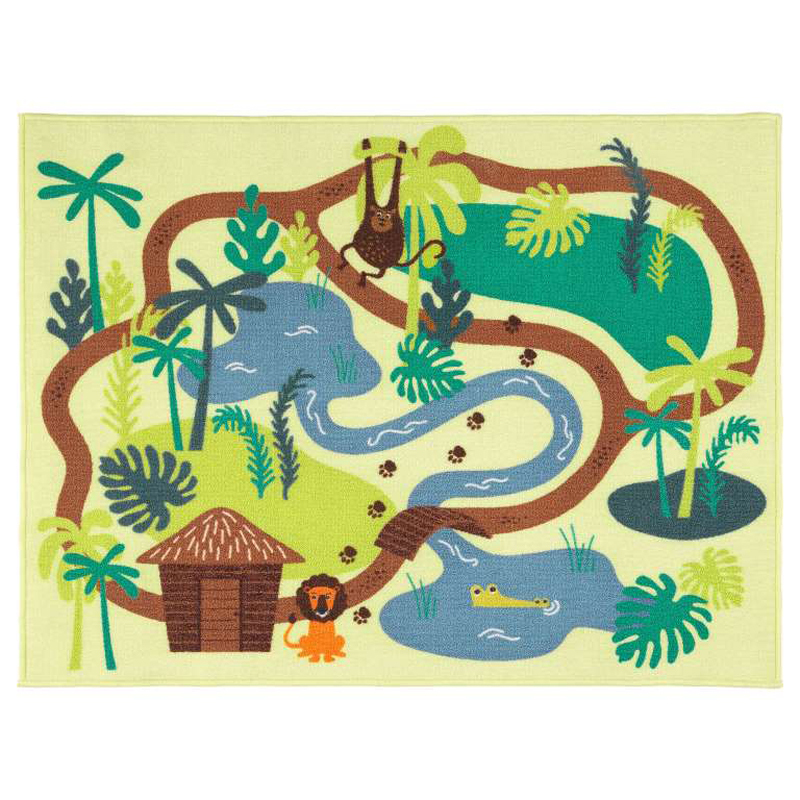 If you're considering a jungle theme for your child's room, this rug would be a great jumping-off point.